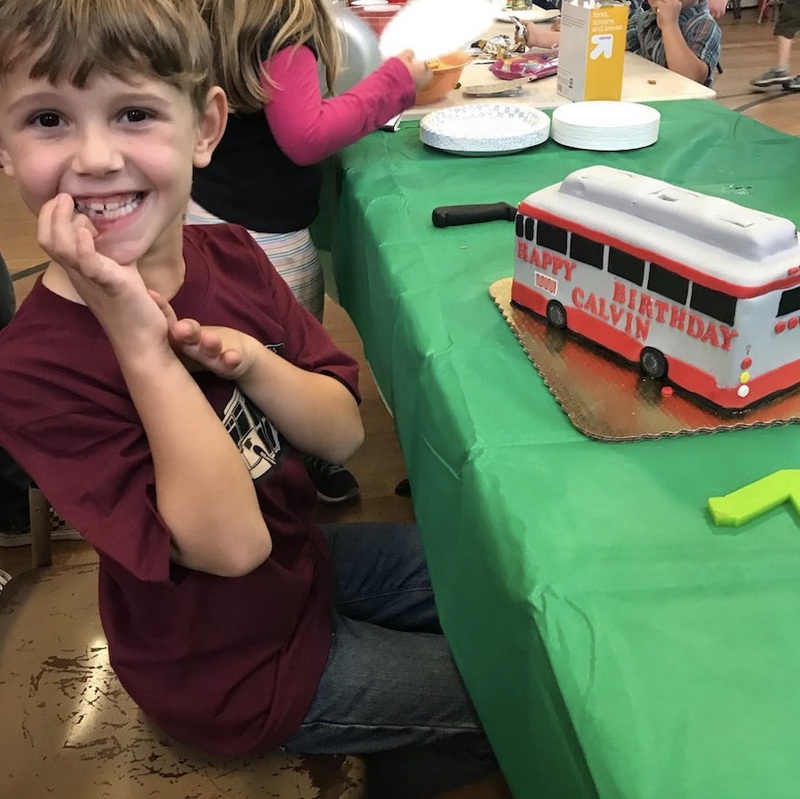 This is gonna make you want to be a kid all over again: train-obsessed kid (and pro Muni rider) Calvin just celebrated his birthday with possibly the most best cake ever. 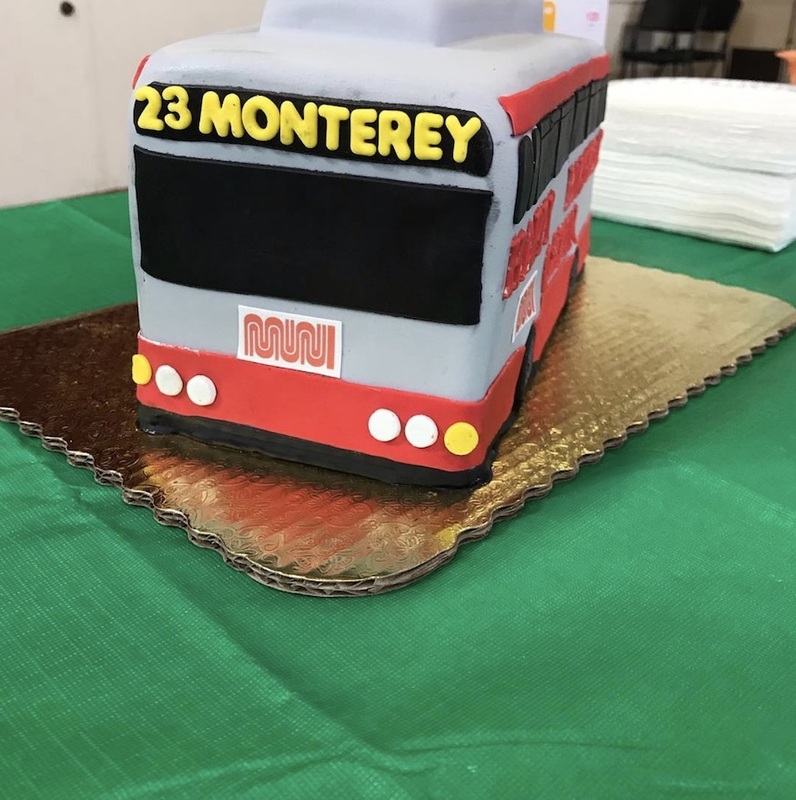 Mom Sonia presented him with this adorable mini Muni bus cake, complete with the 23-Monterey line sign and his name on the side. How awesome is this? The look on his face says it all. Once more, from the side. Sonia tells us that the cake is by My Favorite Bite, and it was wholly approved by the birthday boy. We’re just suckers for Muni-themed stuff, like this birthday party (with BART temporary tattoos!) and even this racing car from a couple of pretty cool Bernal dads. If you’ve spotted some more Muni or BART-themed goodies in the wild, you know who to call! Email us at muni.diaries.sf@gmail.com. Wow, what an amazing cake for Calvin! 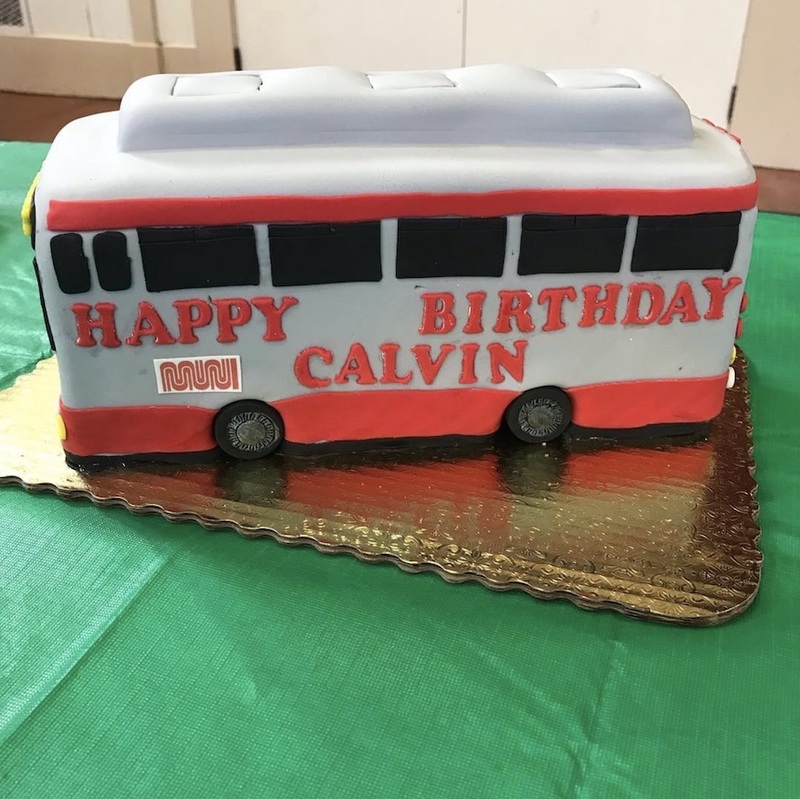 Calvin, I worked 43 years for Muni and operated many busses, street cars and Cable Cars, but I never had anyone make a great cake like that for me. Great job Sonia and David.